Sabina Surjit Henderson is being remembered by her loved ones as a gifted pianist and a "witty girl who loved to tell jokes"
Sabina Surjit Henderson in an undated photo. 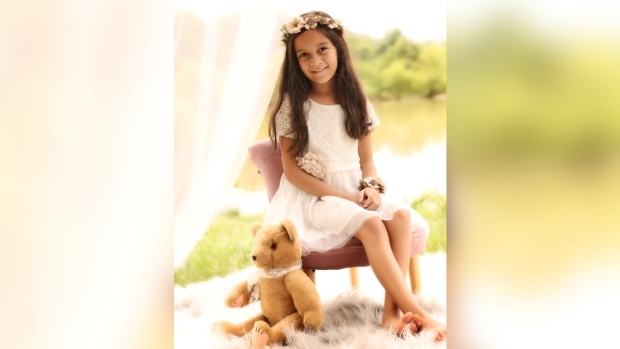 A 7-year-old girl swinging on a hammock during a family gathering in Loudoun County, Virginia, was killed after the tree the hammock was fastened to crashed down on her, officials say. The incident took place about 6 p.m. Saturday at a home in the 37800 block of St. Francis Court in Purcellville, the Loudoun County Sheriff's Office said Monday. The girl and another child were in the hammock when the tree collapsed and fell on them. The little girl, identified by her family as Sabina Surjit Henderson, was airlifted to Inova Fairfax Hospital, where she later died of her injuries. "Sabina was smart, witty girl who loved to tell jokes and make other people laugh," her father, Ben Henderson, said in a statement. "She was a powerful personality that lit up the room and was a memorable force for all those that met her. She was amazingly kind and thoughtful to her friends and family. Sabina was genuinely and completely loved by all that knew her. Her loss tore a giant hole in our lives that will never be mended. We will never recover from this, we will only survive." Henderson's grandfather told News4 she was very smart and a gifted pianist. The other child, an 8-year-old boy, was taken to Inova Fairfax with minor injuries. Investigators said the case appears to be "a tragic accident." Sabina Surjit Henderson in an undated photo provided by her family. 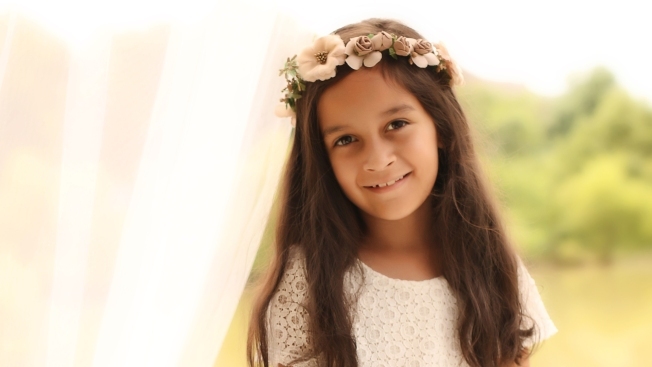 The 7-year-old was killed when a tree fell on her while she was swinging in a hammock during a family gathering in Loudoun County, Virginia, on Saturday, Sept. 22, 2018.